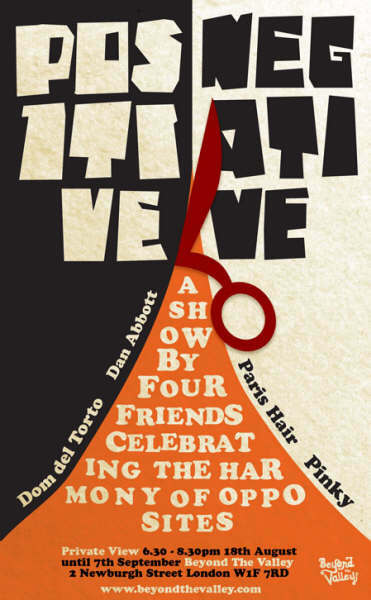 Upcoming this Friday a new show " Positive Negative", featuring the work of four friends celebrating the harmony of opposites. Dom del Torto, Dan Abbott, Paris Hair and Pinky at Beyond The Valley. Show opens this Friday the 18th with a private view and runs untill the 7th September. Beyond the Valley, 2 Newburgh Street, London W1F 7RD.